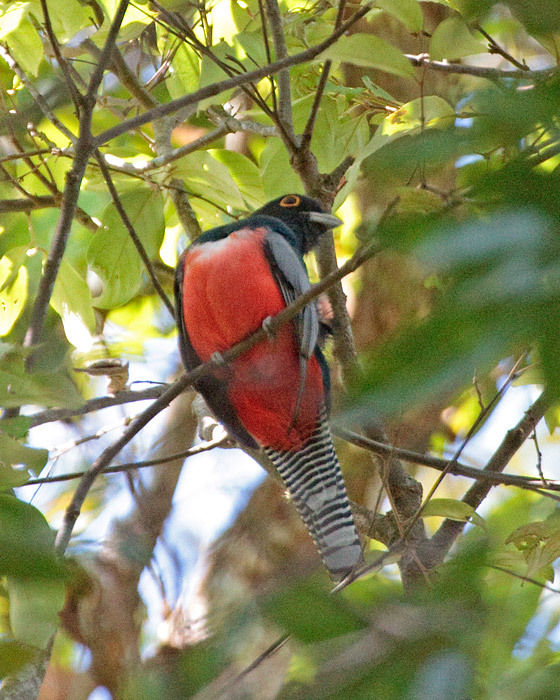 The angle and lighting conditions mean that the blue is not easily visible on this male trogon. I took some other shots of its back that show the color better. Unfortunately, they did not turn out well.